"The real burning question in the world today is does Islam and Islamic civilization actually sanction what we're seeing perpetrated in its name around the world." The take here is a fairly bleak discussion of the basic tenets of Islam, its historical propensity for violence, and the status of an implied "organized warfare" of believers against non-believers. Directors Gregory M. Davis and Bryan Daly avoid formal narration, and instead use a set of five Islamic experts�four of which are scholarly historian/authors (Robert Spencer, Serge Trifkovic, Bat Ye'or, Abdullah Al-Araby), with the fifth a self-proclaimed former terrorist (Walid Shoebat)�to offer interpretation of the Koran and the role of jihad employed in what is described as an inevitable global expansion of the religion. It's not a pretty message, and if the information is indeed accurate then the commonly held notion that Islam is a peaceful religion may not be completely correct. Early on Davis and Daly offer television news clips featuring the likes of a post-9/11 era Tony Blair or Condoleezza Rice ladling on now familiar positive comments about the gentle nature of Islam. That oft heard talking point is countered with in-depth discussions that emphasize "what part of 'kill' don't they understand?" 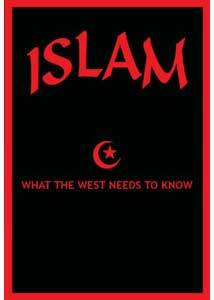 as Spencer and Trifkovic in particular paint a grim portrait of what Islam has stood for over the centuries, and how an expansionary ideology appears to carry very little wiggle room for moderation. To reinforce the comments from Davis and Daly's panel, there are periodic readings from the Koran and other key texts that support the testimony, and the result certainly isn't a doc that is liable to be looked upon favorably by the Islamic community. What really hits hard are ex-terrorist Walid Shoebat's recollections of his former life�from his first bomb run to the martyr status bestowed upon those who strap themselves with explosives�and he is the one who seems to make the loudest statement about what the West truly needs to learn. He makes no real apologies for his past, but his message here is one that is easily the most disturbing, a sobering addendum to the more scholarly comments from the other subjects. Shaky footage of a jihad training video shows a suicide bomber taking out a couple of military vehicles just adds even more frightening credence, as does some chilling footage of Islamic television broadcasts that feature literal saber rattling and condemnation of the West. Color me, at least prior to viewing this, as one of the Islam-preaches-peace casual observers. I'm no theologian or religious scholar by any means, and as a rule like to make up my own mind after viewing all sides of a topic. That peace mantra we've been told since September 11, 2001 appeared sound, and for all I know could very well be. But after hearing the experts gathered up by Davis and Daly, I'm not so sure any more. There are many interesting, seemingly well-researched points raised, and if anything stresses that caution is more than a watchword. Image Transfer Review: The 1.85:1 transfer gets a nod for being anamorphic widescreen, even if overall it's a fairly drab presentation. For the interview segments colors are a bit on the muted side, with soft edges, which is compounded by dark suits worn in front of dark backgrounds. Some of the archival material is fairly rough looking, and some of the news clips appear obviously stretched to widescreen format. Audio Transfer Review: Audio is presented in the seldom heard 3.1 mix, though given the talking head nature of the content this wouldn't have suffered at all had it been issued plain old 2.0 stereo. Voice quality is very middle of the road, yet fully discernible and clear at all times. Not much in the way of directional movement, nor does the .LFE seem to occupy any measurable presence. Just an adequately average, no-frills blend. Extras Review: Extras are rather meager, given the depth of the subject matter. There are just mini text bios of the five participants in the doc, a brief bibliography of principle Islamic text resources and a set of three additional sources of info (two websites�one of which is for the film itself�and a book). The presentation is a little dry in spots, but the information is certainly compelling. A set of five assorted "noted experts" on Islam all offer a similar message, bucking the commonly held belief that it is a purely peaceful religion. The pitch here is clearly slanted one way, yet the facts appear to support the conjecture, as do some of the Islamic television clips used here.